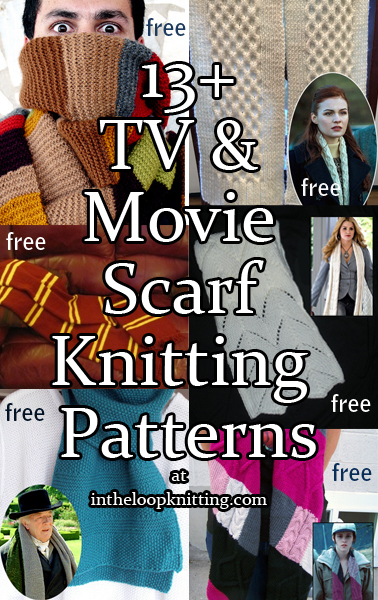 Scarf knitting patterns inspired by scarves worn by characters in movies and tv shows. 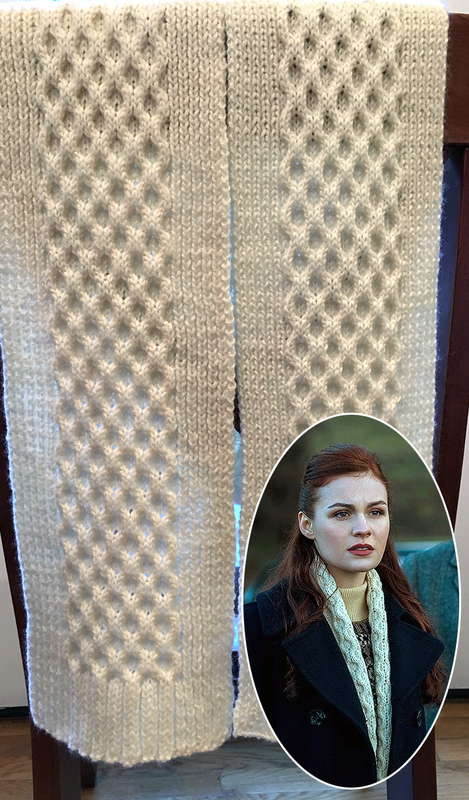 Scottish Princess’s scarf was inspired by the scarf Brianna wore in season 2 finale “Dragonfly in Amber”. 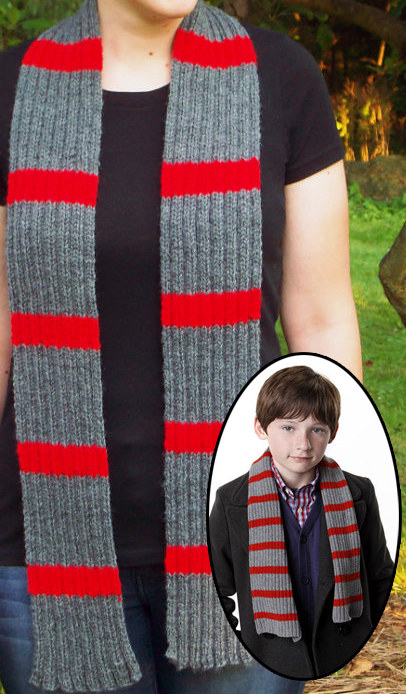 Melissa Prange’s was inspired by the tv seriesOnce Upon a Time to recreate Henry’s grey and red striped scarf. 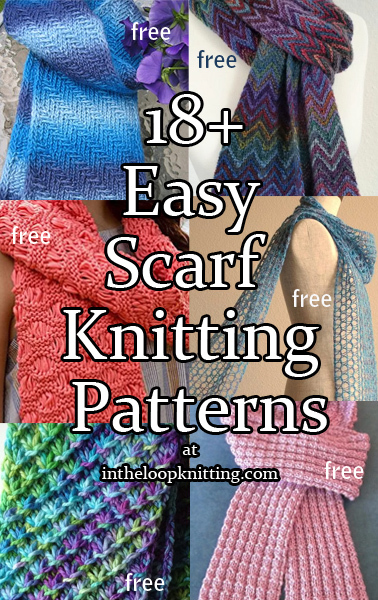 The pattern is easy, suitable for beginners. 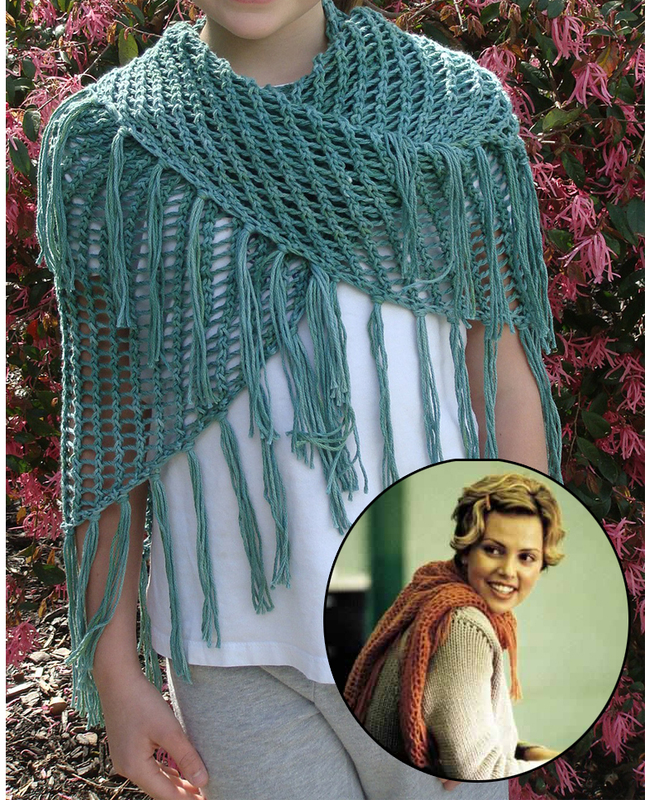 Caryl Pierre was inspired by the shawl / scarf Charlize Theron wore in Sweet November to create this easy lace drapey wrap. 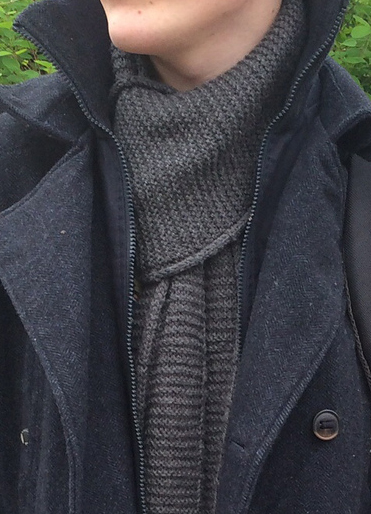 Pictured project by lolamama. 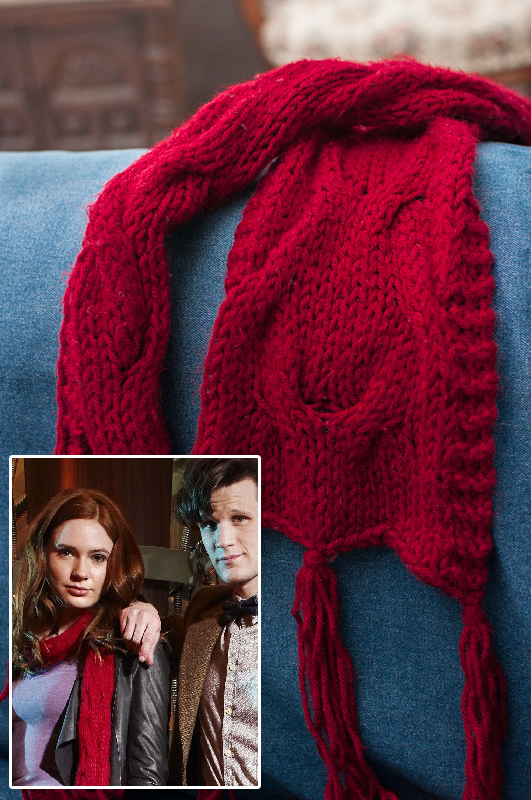 Cabled scarf inspired by the one Amy wore in this Doctor Who episode. 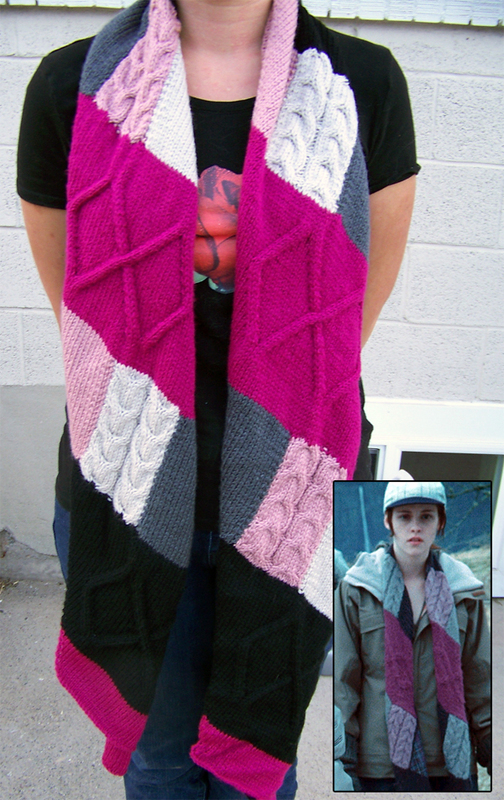 Designed by Lanea Zimmerman who did extensive research to match the look of Amy’s scarf. 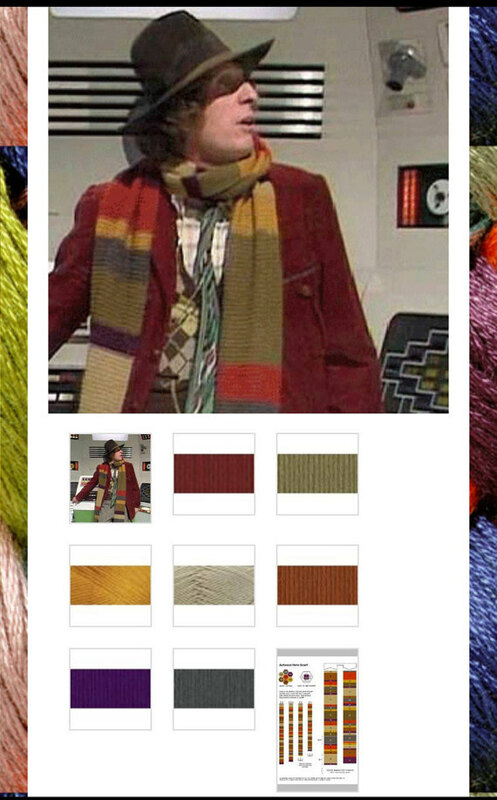 Chris Brimelow has a site dedicated to accurate replica patterns of the Tom Baker Doctor Who Scarves. Jennifer Moretti’s design was inspired by the 2006 movie Penelope starring Christina Ricci and James McAvoy. 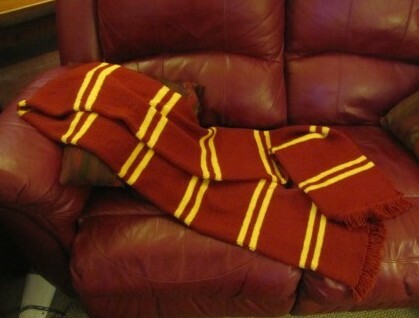 Size: 8 inches wide and just over 60 inches long. 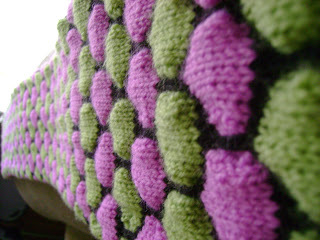 Includes a photo tutorial for the Cobblestone stitch. This is the official costume pattern for the scarf worn by Rory in the new season of Gilmore Girls: A Year in the Life on Netflix. 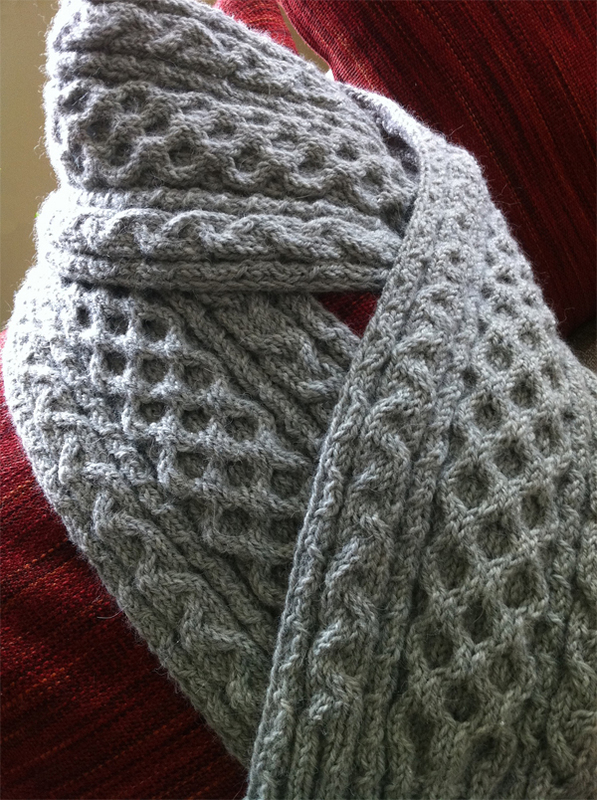 Dots n Dashes scarf by Lisa Whiting and Lucia Blanchet comes with the matching hat pattern. 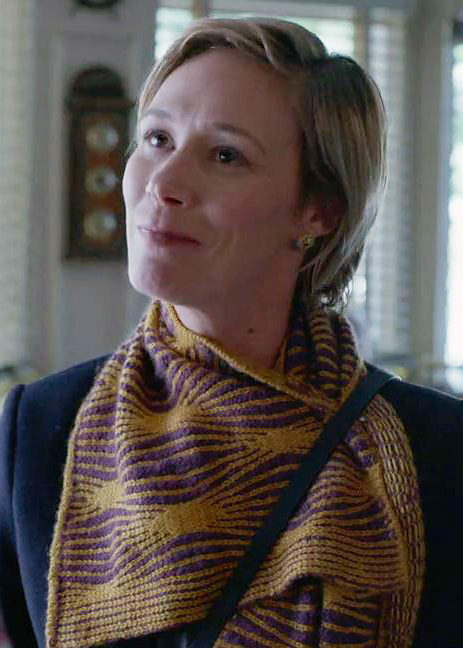 This is the official costume pattern for the scarf worn by Paris Geller in the new season of Gilmore Girls: A Year in the Life on Netflix. 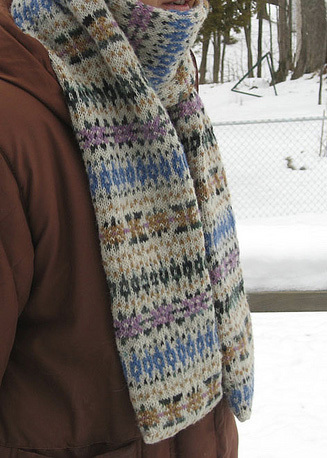 Eponymuff scarf designed by Lisa Whiting and Lucia Blanchet. 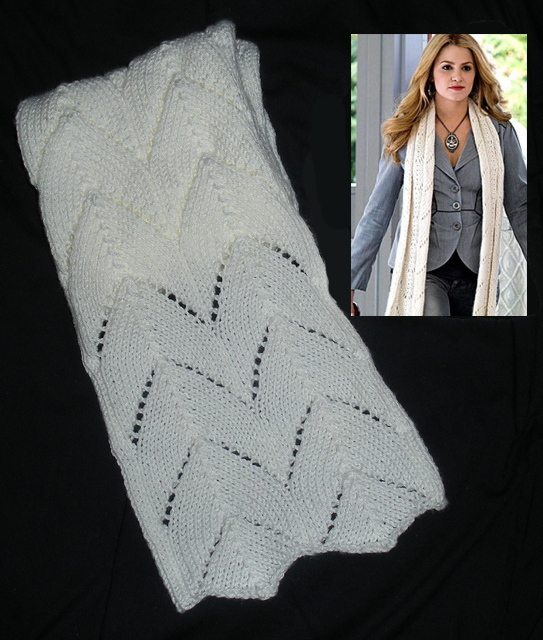 Vicki Mann’s shawl is inspired by the one worn by Reese Witherspoon in the movie Sweet Home Alabama. This chunky fringed scarf is inspired by the purple scarf worn by Cameron Diaz in the movie In Her Shoes. 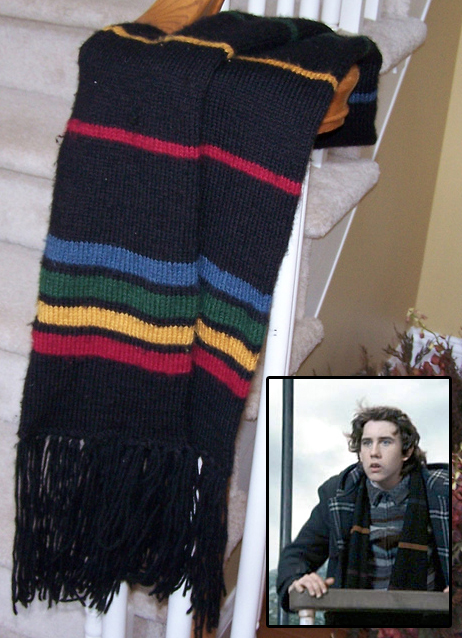 It adds a cable to the scarf that’s not in the movie but if you want to be true to the movie just replace the cable with ribs. 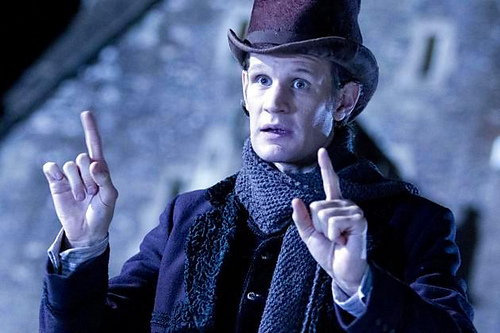 The hardest part of knitting a Doctor Who Scarf is chasing down the yarn. Here’s a kit that did that for you. 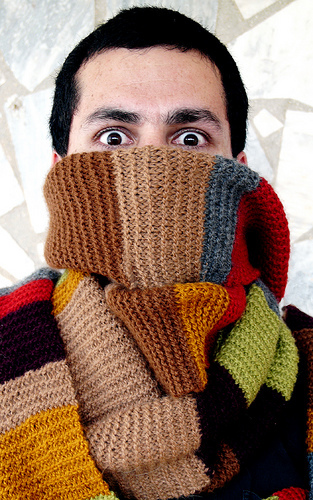 Included are 9 skeins in the carefully researched colors and the official pattern with variations to accommodate specific seasons/versions, from the Dr Who Scarf Pattern Page. 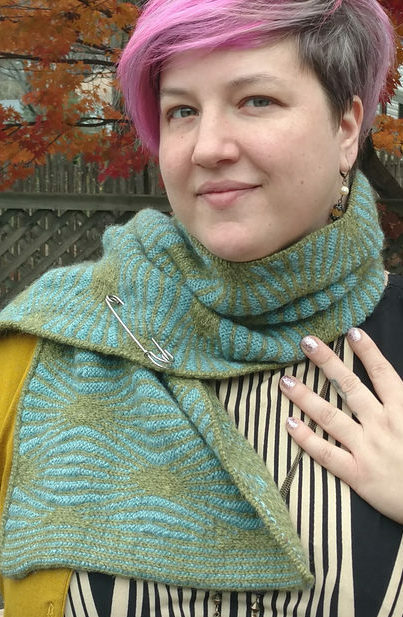 Terry is a knitting late-bloomer, learning to knit as an adult from Internet tutorials, because she wanted a craft that was useful, fun, and portable. 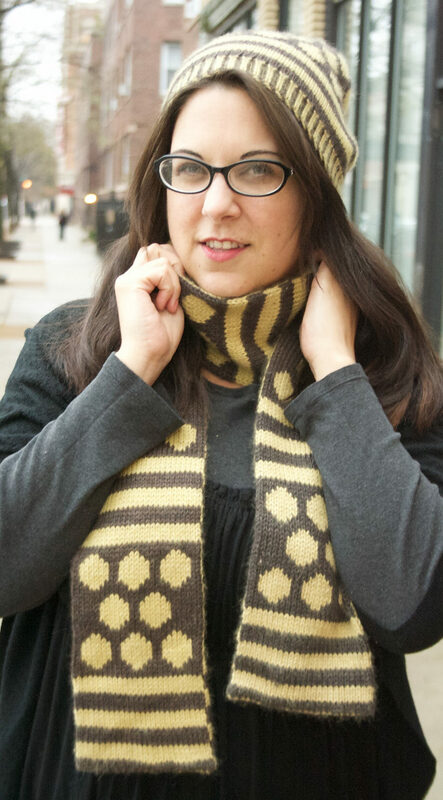 Knitting hats for cancer patients inspired her to design her own patterns—available for free at her blog, intheloopknitting.com. Terry met her husband Ken at a science fiction convention and moved to the Kansas City area to be with him more than 30 years ago. 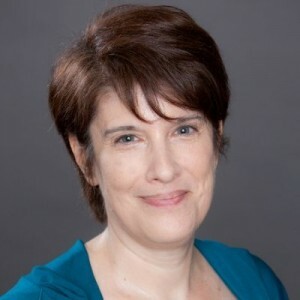 Terry supports her yarn stash by creating websites and other digital media. 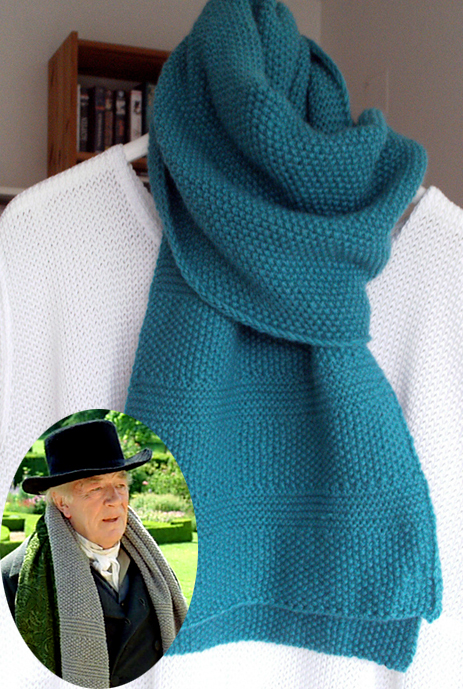 Terry firmly believes in Knitting in Public—it's a great conversation starter!